Robert Astor Carter, son of the late Archie and Minister Nancy E. Carter, was born on June 26, 1961 in Halifax County, North Carolina. He quietly and peacefully departed this life at his home on July 12, 2018. Robert accepted the Lord at an early age. He attended Eastman High and later moved to Wilmington, North Carolina where he graduated from John T. Hoggard High School Class of 1979. While in Wilmington, he was employed with the City of Wilmington. 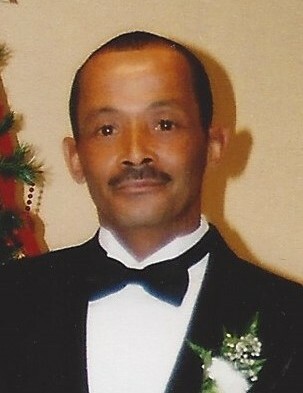 Robert relocated to Raleigh, North Carolina and held employment with Jesse Jones in Smithfield, North Carolina. He later moved back home to Hollister, North Carolina where he worked with Sanford Construction Company for twenty-five years. While back home, he met the love of his life, Brenda Y. Richardson and they married on December 28, 1988. They were blessed with three wonderful children. Robert loved spending time fishing, gardening, and enjoying time with family and friends. In addition to his parents, he was preceded in death by one brother, George and his father-in-law, Willie Junior Richardson “A.C.”. Those left to cherish his memories are: his wife, Brenda Carter of the home; two daughters, Ericka Carter of the home and Christina Carter of Wilmington, NC; son, Robert Brandon Carter of Greensboro, NC; four grandchildren, Jaydon, Jaleah, and Ava all of Wilmington, NC and Brandon of Greensboro, NC; two sisters, Elaine Pearson (David) of Hampton, VA and Hattie Richardson (Larry) of Hollister, NC; four brothers, Tony Carter (Vickie) of Wilmington, NC, Conrad Carter (Terri) of Willow Springs, NC, Terry Carter (Melanie) of Raleigh, NC, and Earnest Carter (Carla) of Bowie, MD; his mother-in-law, Roselle Richardson of Hollister, NC; four sisters-in-law, Willie Mae Harris (Charles) and Tarsha Richardson (Robin) both Warrenton, NC, Charlene Williams of Hollister, NC and Darlene Burgess (Donnel) of Roanoke Rapids, NC; one aunt, Dorothy Spruill of Hollister, NC; two uncles, Robert Davis (Jerri) of Cambria Heights, NY and Earnest Richardson (Arnie) of Hollister, NC; a “special” brother, Coleman Pulley; a host of nieces, nephews, cousins, other relatives and friends.